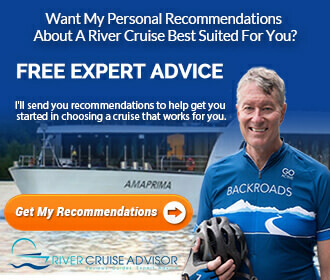 You are here: Home / Cruise Companies / CroisiEurope / Is CroisiEurope Right For You? Is CroisiEurope Right For You? I heap lots of praise on CroisiEurope, and for good reason. Strasbourg-based CroisiEurope is family-owned and operated — and the company has a lot of ships, more than 50. The company’s all-inclusive cruises impress me with their French flair, inventive itineraries and innovative ships. CroisiEurope also serves up one of the best values in river cruising. In fact, many readers feel that CroisiEurope’s pricing is too good to be true. I’ve been asked time and again if I could point out some of the negative aspects of CroisiEurope. Before doing that, however, allow me to point out that the letters I get from readers who have actually cruised on CroisiEurope have been, without exception, extremely positive. Some readers have experienced false starts, like thinking there were limited menu options. But they discovered that’s not the case. CroisiEurope does not have an “always available” menu or even a choice of main courses printed on the menu. But the operational word here is “printed.” Simply discuss your dietary or culinary preferences with staff, and you’ll find that CroisiEurope will give you choices to please your palate. Former Director of National Accounts for Uniworld, Iannone makes some valid comparisons. When it comes to imbibing, for example, CroisiEurope is all-inclusive. Beverages are complimentary 24/7 just as on the all-inclusive river cruises. 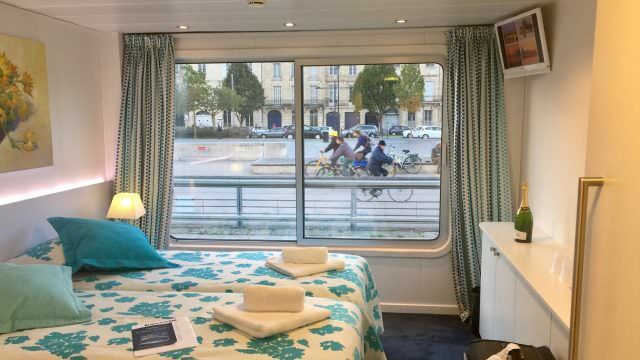 For those who bemoan CroisiEurope’s cabin sizes on its Bordeaux ship, Cyrano de Bergerac, consider that at least one luxury river cruise operator in Bordeaux features cabins that are the same size as CroisiEurope’s standard cabins (140 square feet). 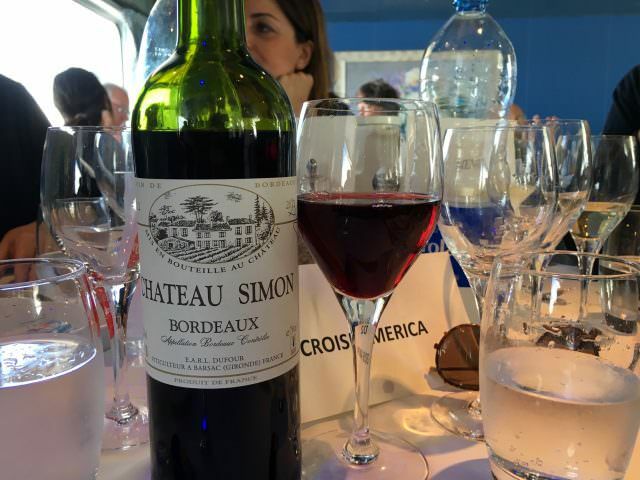 However, based on double-occupancy, CroisiEurope’s eight-day Bordeaux sailing comes in at nearly $4,000 less than that luxury cruise operator’s eight-day Bordeaux sailing in the same-sized staterooms. So what are the negative aspects of CroisiEurope? Spoiler alert. There aren’t many. Bar soap. I would like to have bar soap in the stateroom. Though I have lived in Europe, I am still all-American when I step into the shower. I want a bar of soap in my hand so that I can lather up the way I am accustomed to doing back home. CroisiEurope, like many European hotels, provides liquid soap. Bikes on board. I would like to have bikes on board. Viking doesn’t have them and neither does CroisiEurope, yet both can offer bicycling excursions. CroisiEurope takes it one step further and has bicycling theme cruises, along with hiking cruises. I haven’t done either of those – not yet. On Cyrano de Bergerac, I did miss being able to straddle a saddle and pedal away on my own (CroisiEurope’s barges do carry bicycles, by the way). French cuisine and wine. You may not like French food and wine. I adore it. 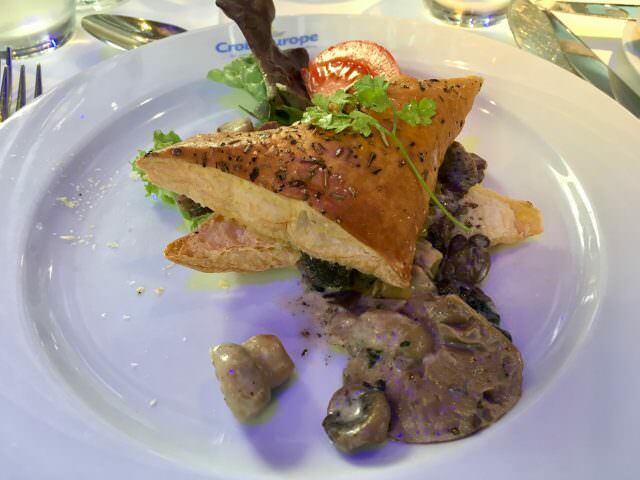 French food is primarily what you’ll get on CroisiEurope. As noted, the menu doesn’t offer “always available” options or even a selection of main courses. However, that doesn’t mean you can’t order something that’s not on the menu. You just need to talk to the maitre d’ or hotel manager to discuss your dietary needs or preferences. CroisiEurope’s vessels typically offer buffet breakfasts, with lunches and dinners served from the menu. Cabin sizes. We’ve beat that horse to death earlier in this post, but how much room do you really need? True, you don’t want to be packed in like sardines, but are you river cruising to experience Europe or to sit in your room eating canapés and watching CNN? Early-risers and late-nighters. On Cyrano de Bergerac, I found neither of these – an early-riser’s breakfast, nor late-night snacks, other than salty snacks at the bar to accompany a glass of wine or beer. One reader voiced concern about CroisiEurope’s bathrooms featuring shower curtains rather than glass or acrylic doors. Yes, the shower curtains may lack some elegance but my shower curtain was clean. It’s a small quibble at best. 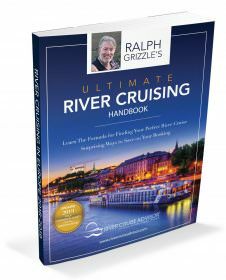 There are certain travelers who should be looking at CroisiEurope for river cruises in Europe and beyond. Who are those travelers? Those who want to spend $350 or less per person per day for their cruises. CroisiEurope’s per diems often come in at less than $350 per person, sometimes much less. Families with children under the age of 8. Most river cruise companies have policies discouraging children under the age of 8. CroisiEurope has no low-age limit. Plus, the company operates some ships with rooms capable of accommodating three and even four, a rarity in the river cruise market. French Canadians. Parlez vous Francais? If your French is better than your English, you’ll feel right at home on CroisiEurope. If you do not speak French, no worries. 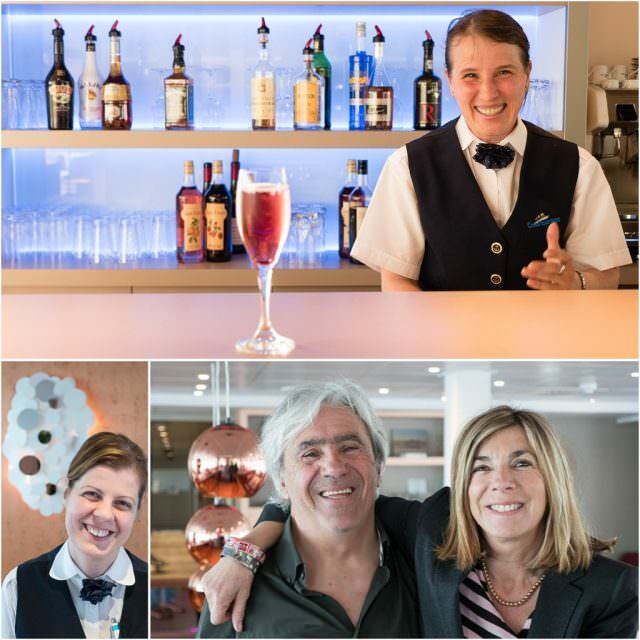 CroisiEurope’s bilingual (and even multi-lingual) crew comes from throughout Europe. Moreover, when English speakers are on board, CroisiEurope shifts to dual programming in both English and French. Those seeking destinations not available on other river cruise companies. CroisiEurope is alone in operating on the Loire, and it’s the only cruise company to sail between Berlin and the center of Prague on the Elbe. CroisiEurope also operates on the French canals as well as on Spain and Portugal’s Guadalquivir and Guadiana rivers, with a coastal voyage in between the two. CroisiEurope recently announced a new 10-day journey between Central Europe and the Balkans. With an itinerary that will take guests through Hungary, Serbia, Bosnia, and Croatia, CroisiEurope will be the first river cruise company to take travelers along the Danube and Sava Rivers. Culture vultures. CroisiEurope caters primarily to Europeans, but recently the 40-year-old company entered the North American market. With more than 50 vessels, the company is expanding so rapidly that it needed to open new markets, hence a concentration on Americans and Canadians, as well as other English-speakers. Still, you’ll find a fair number of Europeans on board, as well as a decidedly French ambience. That’s not a bad thing in my book. After all, you are traveling to Europe to explore Europe. Mobility impaired travelers. CroisiEurope sails under the French flag. French laws require that it be what is essentially ADA compliant. That said, getting around as a mobility impaired person can be difficult in Europe, with its cobblestone streets and sharp curbing. CroisiEurope’s barges can be a good choice for the mobility-impaired. Those seeking themed cruises. These cruises can range from rigorous hikes to bicycle cruises to gourmet cruises and more. CroisiEurope offers so much variety, in fact, that I will have to cover that, as well as its fleet, in future posts. I have cruised on CroisiEurope ships and barges four times now, and I always come away pleased and surprised. For example, on a Seine river cruise, the company’s Boticelli took us under the bridges in Paris past Notre Dame and the Eiffel Tower (to my knowledge, CroisiEurope’s ships are the only ones that can do this) and into the heart of Honfleur, which few other river cruises can do because of specifications related to maritime laws. If you are an independent traveler from North America who must be with your own culture, you may not feel at home on CroisiEurope. If you are not with a group, you may feel lost among the Europeans, unless you are prepared for an international experience. If you require ulta-refined elegance. Yes, the dining rooms feature white tablecloths, fine wines and good service on CroisiEurope, but you’re not at a Ritz-Carlton. Don’t misread what I am saying. Service is good, the cuisine and wines are to my liking, but if you are an ultra-sophisticate, CroisiEurope may not be for you. If you plan to spend a lot of time in your stateroom. Staterooms on CroisiEurope’s vessel run the gamut, but in general, they are not super spacious (the exception would be on the company’s Lafayette). You won’t find ultra-large flat-panel televisions in your staterooms as on Viking, or twin balconies as on AmaWaterways, or the spacious suites on Scenic, or the ultra-luxurious suites on Uniworld. You will find good, basic accommodations, tastefully done and with plenty of storage. If you require a bathtub. You’ll find showers only on CroisiEurope. If you require balconies. Only CroisiEurope’s Loire Princesse and Elbe Princesse have balconies. Many of the other ships feature staterooms with large sliding glass windows, which essentially provide the same function as a balcony with regard to letting in fresh air and a window to get your head and your camera outside for snapping beautiful photos of the scenery you’re passing. If you require a gym or bicycle. There are no gyms or bikes on the river boats (there are on the barges). However, CroisiEurope does offer bicycling themed cruises. If you require multiple dining venues. CroisiEurope has one main dining room. One of CroisiEurope’s hotel barges, the Raymonde. Photo courtesy of CroisiEurope. CroisiEurope is virtually an unknown in North America, but in Europe, it’s almost as big as Viking. The company prides itself on its award-winning, diversified fleet, with more itineraries and departures than any other river cruise company. CroisiEurope considers itself to be a leader in innovation (such as the paddlewheelers that can navigate the shallow Loire and Elbe rivers) and itinerary development (Croatia, Spain, for example). It’s also the low-cost leader, offering exceptional value on its all-inclusive fleet, which ranges from small luxury hotel barges to coastal cruisers. The company’s Lafayette, introduced last year, represents its most refined ship, as does its new fleet of barges. In summing up CroisiEurope, first, the fleet is huge and its itineraries diversified. One post will not cover all that CroisiEurope offers, so I am only looking at a slice of the company. But what I have seen on its barges, paddlewheelers and river cruisers, I like, a lot. While you do have white tablecloths in the dining rooms, we’re not talking ultra-refined elegance, but certainly an elegance that was good enough for me. I find the staff to be professional and engaging, and I like being able to order a drink at anytime without having to sign a check. French and family-owned, CroisiEurope also has a lot of charm. I have so much more to explore with this company, and the deeper I dig, the more I like CroisiEurope. Video Review: What’s It Like Cruising CroisiEurope’s ms Botticelli on the Seine? I highly recommend Croisi and agree with everything you said. The wine was good, always a drink of the day for passengers comng back from the tours, unlimited good beer on board, five star food –can’t wait to have it again– and the crew couldn’t have tried harder to please us because we were the only English speakers on board this short trip throughout Berlin.The French tried hard to speak to us in English even when they knew their English wasn’t very good. Our trip was mostly full of people from Corsica.